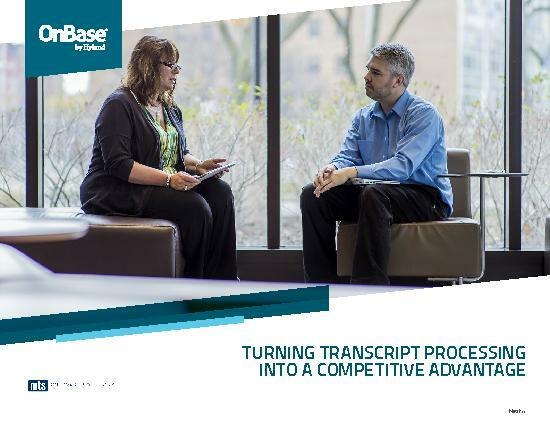 Let transcripts be your competitive advantage Whether you're focusing on delivering top-notch service to existing students, expanding transfer student population or driving staff toward advising rather than data entry, OnBase delivers measurable ROI to your institution. By using a template approach, OnBase automatically recognizes and captures only the information you need, without any of the filler. This translates into fewer mistakes and more time for your staff to focus on what really matters – the students.